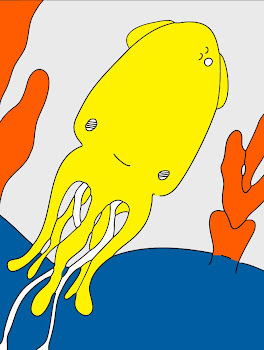 Technicolor Squid: Beautiful Mrs. Dawbis. That's sweet. 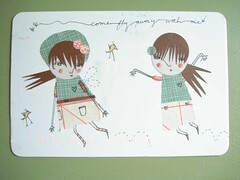 I love the little wings and then the way the other girl is flapping her arms. Wow, that is so beautiful. Is that all made out of collaged materials? Oh! A Dawbis postcard! It's beautiful! You're a lucky girl! it's gorgeous! must go visit where it came from! wow! how lucky you are! i wish the usps would have taken care of my wedding rsvp postcards with that much care- i cant believe that dawbis card made it through the mail!! !